Mars, otherwise known as the “Red Planet”, is the fourth planet of our Solar System and the second smallest (after Mercury). Named after the Roman God of war, its nickname comes from its reddish appearance, which has to do with the amount of iron oxide prevalent on its surface. Every couple of years, when Mars is at opposition to Earth (i.e. when the planet is closest to us), it is most visible in the night sky. Because of this, humans have been observing it for millennia, and its appearance in the heavens has played a large role in the mythology and astrological systems of many cultures. 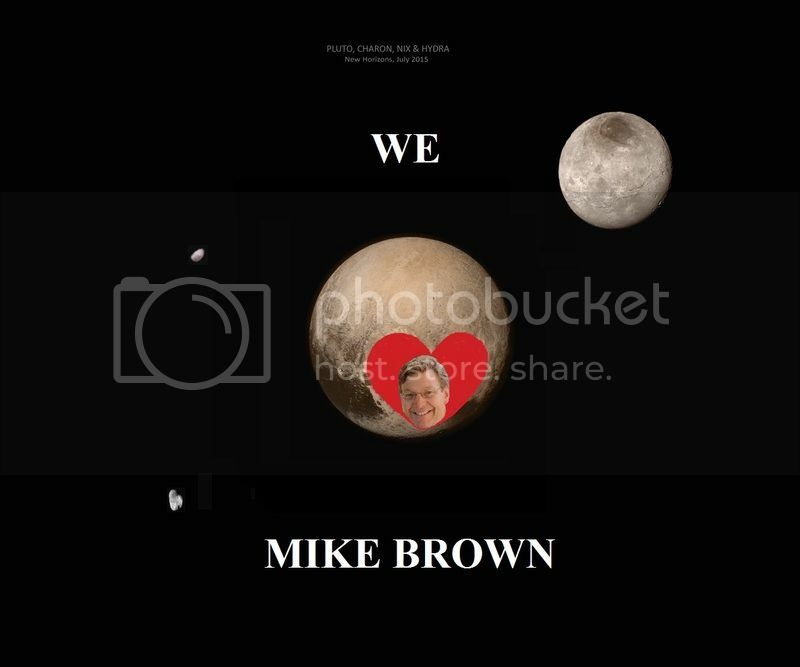 And in the modern era, it has been a veritable treasure trove of scientific discoveries, which have informed our understanding of our Solar System and its history. Mars has a radius of approximately 3,396 km at its equator, and 3,376 km at its polar regions – which is the equivalent of roughly 0.53 Earths. While it is roughly half the size of Earth, it’s mass – 6.4185 x 10²³ kg – is only 0.151 that of Earth’s. It’s axial tilt is very similar to Earth’s, being inclined 25.19° to its orbital plane (Earth’s axial tilt is just over 23°), which means Mars also experiences seasons. With a mean density of 3.93 g/cm³, Mars is less dense than Earth, and has about 15% of Earth’s volume and 11% of Earth’s mass. The red-orange appearance of the Martian surface is caused by iron oxide, more commonly known as hematite (or rust). The presence of other minerals in the surface dust allow for other common surface colors, including golden, brown, tan, green, and others. As a terrestrial planet, Mars is rich in minerals containing silicon and oxygen, metals, and other elements that typically make up rocky planets. The soil is slightly alkaline and contains elements such as magnesium, sodium, potassium, and chlorine. Experiments performed on soil samples also show that it has a basic pH of 7.7. 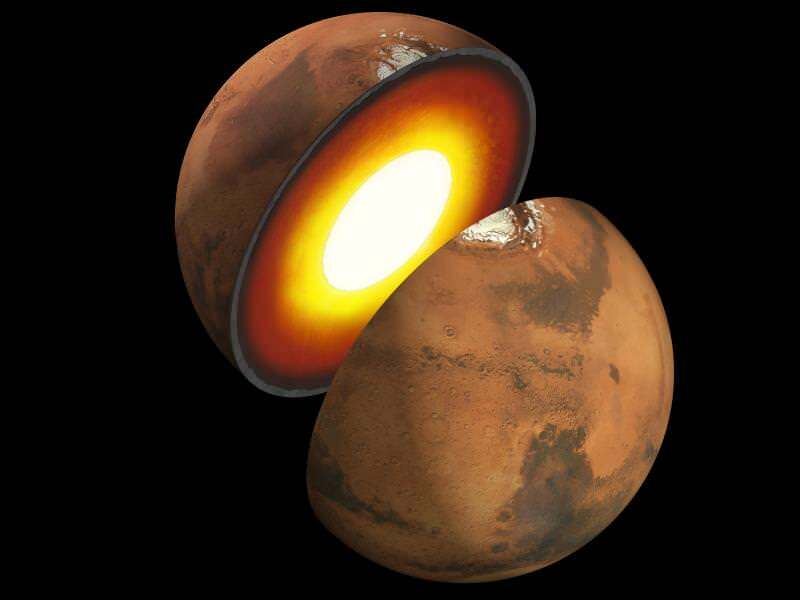 Like Earth, Mars is differentiated into a dense metallic core surrounded by a silicate mantle. This core is composed of iron sulfide, and thought to be twice as rich in lighter elements than Earth’s core. The average thickness of the crust is about 50 km (31 mi), with a maximum thickness of 125 km (78 mi). Relative to the sizes of the two planets, Earth’s crust (averaging 40 km or 25 mi) is only one third as thick. Current models of its interior imply that the core region measures between 1,700 – 1850 kilometers (1,056 – 1150 mi) in radius, consisting primarily of iron and nickel with about 16–17% sulfur. Due to its smaller size and mass, the force of gravity on the surface of Mars is only 37.6% of that on Earth. An object falling on Mars falls at 3.711 m/s², compared to 9.8 m/s² on Earth. The surface of Mars is dry and dusty, with many similar geological features to Earth. It has mountain ranges and sandy plains, and even some of the largest sand dunes in the Solar System. It also has the largest mountain in the Solar System, the shield volcano Olympus Mons, and the longest, deepest chasm in the Solar System: Valles Marineris. The surface of Mars has also been pounded by impact craters, many of which date back billions of years. These craters are so well preserved because of the slow rate of erosion that happens on Mars. Hellas Planitia, also called the Hellas impact basin, is the largest crater on Mars. Its circumference is approximately 2,300 kilometers, and it is nine kilometers deep. Phobos measures about 22 km (14 mi) in diameter, and orbits Mars at a distance of 9234.42 km when it is at periapsis (closest to Mars) and 9517.58 km when it is at apoapsis (farthest). At this distance, Phobos is below synchronous altitude, which means that it takes only 7 hours to orbit Mars and is gradually getting closer to the planet. Scientists estimate that in 10 to 50 million years, Phobos could crash into Mars’ surface or break up into a ring structure around the planet. Meanwhile, Deimos measures about 12 km (7.5 mi) and orbits the planet at a distance of 23455.5 km (periapsis) and 23470.9 km (apoapsis). It has a longer orbital period, taking 1.26 days to complete a full rotation around the planet. Mars may have additional moons that are smaller than 50- 100 meters (160 to 330 ft) in diameter, and a dust ring is predicted between Phobos and Deimos. Another possibility is that the two moons formed from accredit material from Mars early in its history. However, if this were true, their compositions would be similar to Mars itself, rather than similar to asteroids. A third possibility is that a body impacted the Martian surface, who’s material was ejected into space and re-accreted to form the two moons, similar to what is believed to have formed the Earth’s Moon. Because of its thin atmosphere, and its greater distance from the Sun, the surface temperature of Mars is much colder than what we experience here on Earth. The planet’s average temperature is -46 °C (-51 °F), with a low of -143 °C (-225.4 °F) during the winter at the poles, and a high of 35 °C (95 °F) during summer and midday at the equator. It is estimated that Mars must produce 270 tonnes of methane per year. Once released into the atmosphere, the methane can only exist for a limited period of time (0.6 – 4 years) before it is destroyed. Its presence despite this short lifetime indicates that an active source of the gas must be present. Several possible sources have been suggested for the presence of this methane, ranging from volcanic activity, cometary impacts, and the presence of methanogenic microbial life forms beneath the surface. Methane could also be produced by a non-biological process called serpentinization involving water, carbon dioxide, and the mineral olivine, which is known to be common on Mars. The Curiosity rover has made several measurements for methane since its deployment to the Martian surface in August of 2012. The first measurements, which were made using its Tunable Laser Spectrometer (TLS), indicated that there were less than 5 ppb at its landing site (Bradbury Landing). A subsequent measurement performed on September 13th detected no discernible traces. On December 16th, 2014, NASA reported that the Curiosity rover had detected a “tenfold spike”, likely localized, in the amount of methane in the Martian atmosphere. Samples measurements taken between late 2013 and early 2014 showed an increase of 7 ppb; whereas before and after that, readings averaged around one-tenth that level. Regions where methane appears notably localized in Northern Summer and their relationship to mineralogical and geo-morphological domains. Credit: Mumma, et al., 2009. Earth astronomers have a long history of observing the “Red Planet”, both with the naked eye and with instrumentation. The first recorded mentions of Mars as a wandering object in the night sky were made by Ancient Egyptian astronomers, who by 1534 BCE were familiar with the planet’s “retrograde motion”. In essence, they deduced that the planet, though it appeared to be a bright star, moved differently than the other stars, and that it would occasionally slow down and reverse course before returning to its original course. By the time of the Neo-Babylonian Empire (626 BCE – 539 BCE), astronomers were making regular records of the position of the planets, systematic observations of their behavior and even arithmetic methods for predicted the positions of the planets. For Mars, this included detailed accounts of its orbital period and its passage through the zodiac. By classical antiquity, the Greeks were making additional observations on Mars’ behavior that helped them to understand its position in the Solar System. In the 4th century BCE, Aristotle noted that Mars disappeared behind the Moon during an occultation, which indicated it was farther away than the Moon. Illustration of the Ptolemaic geocentric conception of the Universe by Portuguese cosmographer and cartographer Bartolomeu Velho from his work Cosmographia (1568). Credit: Bibilotèque nationale de France, Paris. Ptolemy, a Greek-Egyptian astronomer of Alexandria (90 CE – ca. 168 CE), constructed a model of the universe in which he attempted to resolve the problems of the orbital motion of Mars and other bodies. In his multi-volume collection Almagest, he proposed that the motions of heavenly bodies were governed by “wheels within wheels”, which attempted to explain retrograde motion. This became the authoritative treatise on Western astronomy for the next fourteen centuries. Literature from ancient China confirms that Mars was known by Chinese astronomers by at least the fourth century BCE. In the fifth century CE, the Indian astronomical text Surya Siddhanta estimated the diameter of Mars. In the East Asian cultures, Mars is traditionally referred to as the “fire star”, based on the Five elements. The Ptolemaic model of the Solar System remained canon for western astronomers until the Scientific Revolution (16th to 18th century CE). Thanks to Copernicus’ heliocentric model, and Galileo’s use of the telescope, Mars proper position relative to Earth and the Sun began to become known. The invention of the telescope also allowed astronomers to measure the diurnal parallax of Mars and determine its distance. This was first performed by Giovanni Domenico Cassini in 1672, but his measurements were hampered by the low quality of his instruments. During the 17th century, Tycho Brahe also employed the diurnal parallax method, and his observations were measured later by Johannes Kepler. During this time, Dutch astronomer Christiaan Huygens also drew the first map of Mars which included terrain features. By the 19th century, the resolution of telescopes improved to the point that surface features on Mars could be identified. This led Italian astronomer Giovanni Schiaparelli to produce the first detailed map of Mars after viewing it at opposition on September 5th, 1877. These maps notably contained features he called canali – a series of long, straight lines on the surface of Mars – which he named after famous rivers on Earth. These were later revealed to be an optical illusion, but not before spawning a wave of interest in Mars’ “canals”. In 1894, Percival Lowell – inspired by Schiaparelli’s map – founded an observatory which boasted two of the largest telescopes of the time – 30 and 45 cm (12 and 18 inch). Lowell published several books on Mars and life on the planet, which had a great influence on the public, and the canals were also observed by other astronomers, like Henri Joseph Perrotin and Louis Thollon of Nice. Seasonal changes like the diminishing of the polar caps and the dark areas formed during Martian summer, in combination with the canals, led to speculation about life on Mars. The term “Martian” became synonymous with extra-terrestrial for quite some time, though telescopes never reached the resolution needed to provide any proof. Even in the 1960s, articles were published on Martian biology, putting aside explanations other than life for the seasonal changes on Mars. With the advent of the space age, probes and landers began to be sent to Mars by the late 20th century. These have yielded a wealth of information on the geology, natural history, and even the habitability of the planet, and increased our knowledge of the planet immensely. And while modern missions to Mars have dispelled the notions of there being a Martian civilization, they have indicated that life may have existed there at one time. Efforts to explore Mars began in earnest in the 1960s. Between 1960 and 1969, the Soviets launched nine unmanned spacecraft towards Mars, but all failed to reach the planet. In 1964, NASA began launching Mariner probes towards Mars. This began with Mariner 3 and Mariner 4, two unmanned probes that were designed to carry out the first flybys of Mars. The Mariner 3 mission failed during deployment, but Mariner 4 – which launched three weeks later – successfully made the 7½-month long voyage to Mars. Mariner 4 captured the first close-up photographs of another planet (showing impact craters) and provided accurate data about the surface atmospheric pressure, and noted the absence of a Martian magnetic field and radiation belt. NASA continued the Mariner program with another pair of flyby probes – Mariner 6 and 7 – which reached the planet in 1969. During the 1970s, the Soviets and the US competed to see who could place the first artificial satellite in orbit of Mars. The Soviet program (M-71) involved three spacecraft – Cosmos 419 (Mars 1971C), Mars 2 and Mars 3. The first, a heavy orbiter, failed during launch. The subsequent missions, Mars 2 and Mars 3, were combinations of an orbiter and a lander, and would be the first rovers to land on a body other than the Moon. They were successfully launched in mid-May 1971 and reached Mars about seven months later. On November 27th, 1971, the lander of Mars 2 crash-landed due to an on-board computer malfunction and became the first man-made object to reach the surface of Mars. In December 2nd, 1971, the Mars 3 lander became the first spacecraft to achieve a soft landing, but its transmission was interrupted after 14.5 seconds. Meanwhile, NASA continued with the Mariner program, and scheduled Mariner 8 and 9 for launch in 1971. Mariner 8 also suffered a technical failure during launch and crashed into the Atlantic Ocean. But the Mariner 9 mission managed to not only make it to Mars, but became the first spacecraft to successfully establish orbit around it. Along with Mars 2 and Mars 3, the mission coincided with a planet-wide dust storm. 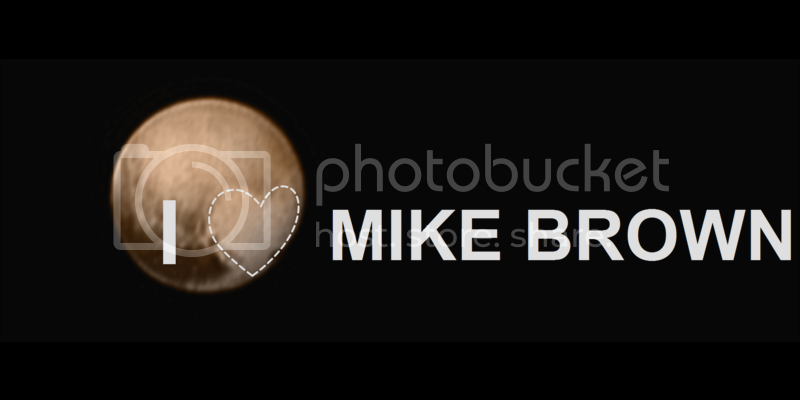 During this time, the Mariner 9 probe managed to rendezvous and take some photos of Phobos. When the storm cleared sufficiently, Mariner 9 took photos that were the first to offer more detailed evidence that liquid water might have flowed on the surface at one time. Nix Olympica, which was one of only a few features that could be seen during the planetary duststorm, was also determined to be the highest mountain on any planet in the entire Solar System, leading to its reclassification as Olympus Mons. In 1973, the Soviet Union sent four more probes to Mars: the Mars 4 and Mars 5 orbiters and the Mars 6 and Mars 7 fly-by/lander combinations. All missions except Mars 7 sent back data, with Mars 5 being most successful. Mars 5 transmitted 60 images before a loss of pressurization in the transmitter housing ended the mission. By 1975, NASA launched Viking 1 and 2 to Mars, which consisted of two orbiters and two landers. The primary scientific objectives of the lander mission were to search for biosignatures and observe the meteorologic, seismic and magnetic properties of Mars. The results of the biological experiments on board the Viking landers were inconclusive, but a reanalysis of the Viking data published in 2012 suggested signs of microbial life on Mars. The Viking orbiters revealed further data that water once existed on Mars, indicating that large floods carved deep valleys, eroded grooves into bedrock, and traveled thousands of kilometers. In addition, areas of branched streams in the southern hemisphere, suggest that surface once experienced rainfall. Mars was not explored again until the 1990’s, at which time, NASA commenced the Mars Pathfinder mission – which consisted of a spacecraft that landed a base station with a roving probe (Sojourner) on the surface. The mission landed on Mars on July 4th, 1987, and provided a proof-of-concept for various technologies that was would be used by later missions, such as an airbag landing system and automated obstacle avoidance. This was followed by the Mars Global Surveyor (MGS), a mapping satellite that reached Mars on September 12th, 1997 and began its mission on March 1999. From a low-altitude, nearly polar orbit, it observed Mars over the course of one complete Martian year (nearly two Earth years) and studied the entire Martian surface, atmosphere, and interior, returning more data about the planet than all previous Mars missions combined. Among key scientific findings, the MGS took pictures of gullies and debris flows that suggest there may be current sources of liquid water, similar to an aquifer, at or near the surface of the planet. Magnetometer readings showed that the planet’s magnetic field is not globally generated in the planet’s core, but is localized in particular areas of the crust. The spacecraft’s laser altimeter also gave scientists their first 3-D views of Mars’ north polar ice cap. On November 5th, 2006, MGS lost contact with Earth, and all efforts by NASA to restore communication ceased by January 28th, 2007. In 2001, NASA’s Mars Odyssey orbiter arrived at Mars. Its mission was to use spectrometers and imagers to hunt for evidence of past or present water and volcanic activity on Mars. 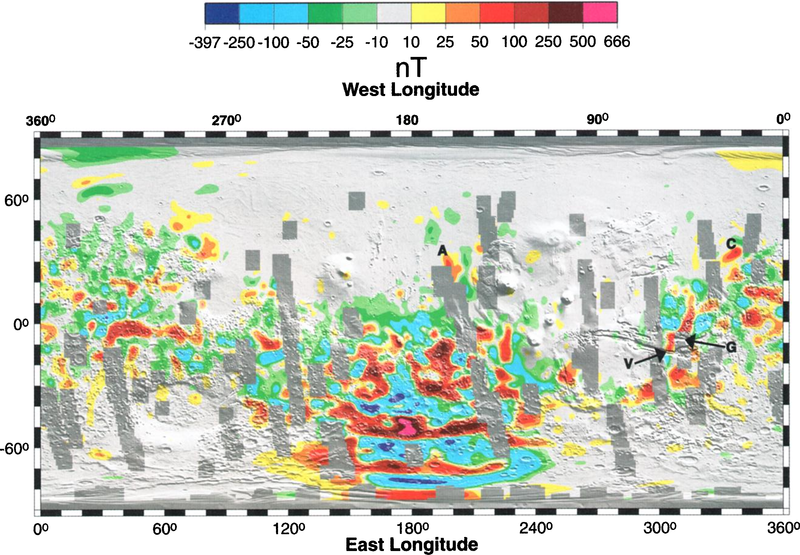 In 2002, it was announced that the probe had detected large amounts of hydrogen, indicating that there are vast deposits of water ice in the upper three meters of Mars’ soil within 60° latitude of the south pole. On June 2, 2003, the European Space Agency’s (ESA) launched the Mars Express spacecraft, which consisted of the Mars Express Orbiter and the lander Beagle 2. The orbiter entered Martian orbit on December 25th, 2003, and Beagle 2 entered Mars’ atmosphere on the same day. Before the ESA lost contact with the probe, the Mars Express Orbiter confirmed the presence of water ice and carbon dioxide ice at the planet’s south pole, while NASA had previously confirmed their presence at the north pole of Mars. In 2003, NASA also commenced the Mars Exploration Rover Mission (MER), an ongoing robotic space mission involving two rovers – Spirit and Opportunity – exploring the planet Mars. The mission’s scientific objective was to search for and characterize a wide range of rocks and soils that hold clues to past water activity on Mars. The Mars Reconnaissance Orbiter (MRO) is a multipurpose spacecraft designed to conduct reconnaissance and exploration of Mars from orbit. The MRO launched on August 12th, 2005, and attained Martian orbit on March 10th, 2006. The MRO contains a host of scientific instruments designed to detect water, ice, and minerals on and below the surface. Additionally, the MRO is paving the way for upcoming generations of spacecraft through daily monitoring of Martian weather and surface conditions, searching for future landing sites, and testing a new telecommunications system that will speed up communications between Earth and Mars. The NASA Mars Science Laboratory (MSL) mission and its Curiosity rover landed on Mars in the Gale Crater (at a landing site named “Bradbury Landing”) on August 6th, 2012. The rover carries instruments designed to look for past or present conditions relevant to the habitability of Mars, and has made numerous discoveries about atmospheric and surface conditions on Mars, as well as the detection of organic particles. NASA’s Mars Atmosphere and Volatile EvolutioN Mission (MAVEN) orbiter was launched on November 18th, 2013, and reached Mars on September 22nd, 2014. The purpose of the mission is to study the atmosphere of Mars and also serve as a communications relay satellite for robotic landers and rovers on the surface. Most recently, the Indian Space Research Organisation (ISRO) launched the Mars Orbiter Mission (MOM, also called Mangalyaan) on November 5th, 2013. 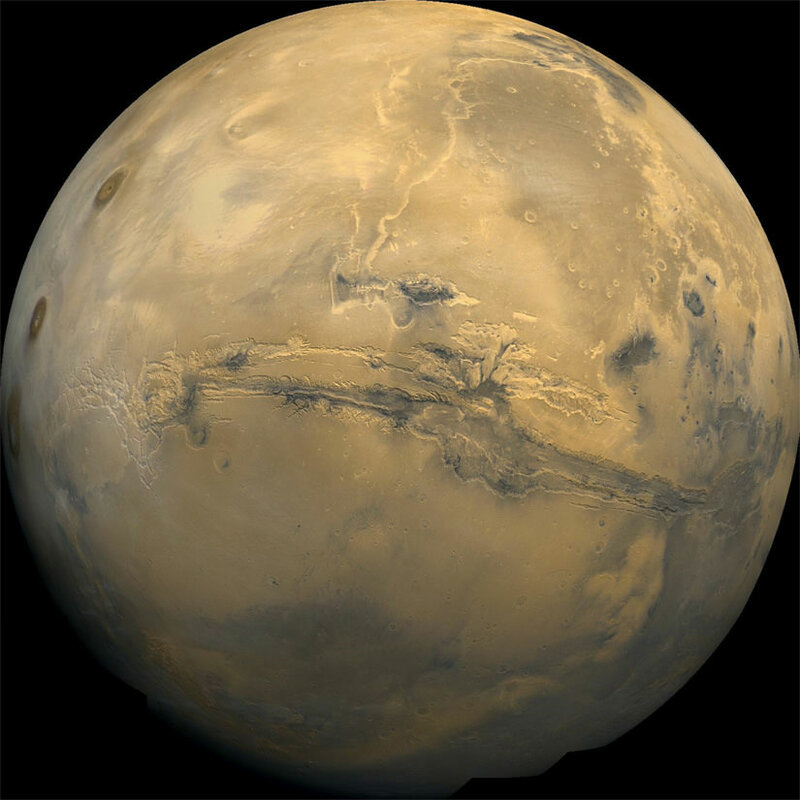 The orbiter successfully reached Mars on September 24th, 2014, and was the first spacecraft to achieve orbit on the first try. A technology demonstrator, who’s secondary purpose is to study the Martian atmosphere, MOM is India’s first mission to Mars, and has made the ISRO the fourth space agency to reach the planet. Future missions to Mars include NASA’s Interior Exploration using Seismic Investigations, Geodesy and Heat Transport (InSIGHT) lander. This mission, which is planned for launch in 2016, involves placing a stationary lander equipped with a seismometer and heat transfer probe on the surface of Mars. The probe will then deploy these instruments into the ground to study the planets interior and get a better understanding of its early geological evolution. The ESA and Roscosmos are also collaborating on a large mission to search for biosignatures of Martian life, known as Exobiology on Mars (or ExoMars). Consisting of an orbiter that will be launched in 2016, and a lander that will be deployed to the surface by 2018, the purpose of this mission will be to map the sources of methane and other gases on Mars that would indicate the presence of life, past and present. The United Arab Emirates also has a plan to send an orbiter to Mars by 2020. Known as Mars Hope, the robotic space probe will be deployed in orbit around Mars for the sake of studying its atmosphere and climate. This spacecraft will be the first to be deployed by an Arab state in orbit of another planet, and is expected to involve collaboration from the University of Colorado, the University of California, Berkeley and Arizona State University, as well the French space agency (CNES). Numerous federal space agencies and private companies have plans to send astronauts to Mars within the not-too-distant future. For instance, NASA has confirmed that it plans to conduct a manned mission to Mars by 2030. In 2004, human exploration of Mars was identified as a long-term goal in the Vision for Space Exploration – a public document released by the Bush administration. In 2010, President Barack Obama announced his administration’s space policy, which included increasing NASA funding by $6 billion over five years and completing the design of a new heavy-lift launch vehicle by 2015. He also predicted a U.S.-crewed orbital Mars mission by the mid-2030s, preceded by an asteroid mission by 2025. 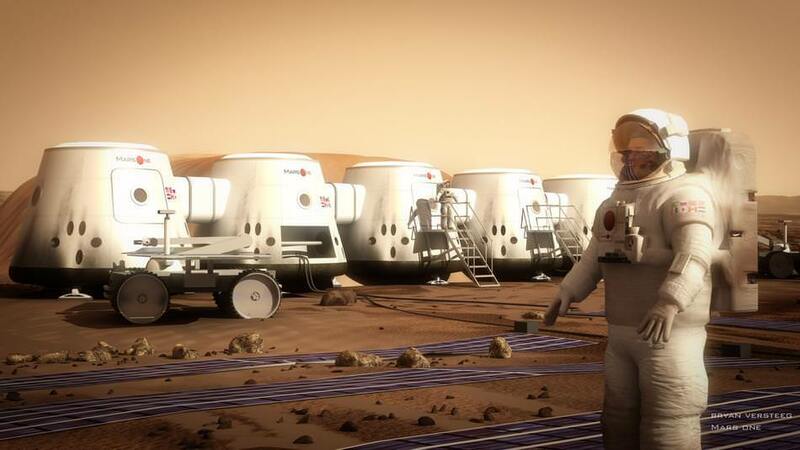 The ESA also has plans to land humans on Mars between 2030 and 2035. This will be preceded by successively larger probes, starting with the launch of the ExoMars probe and a planned joint NASA-ESA Mars sample return mission. Robert Zubrin, founder of the Mars Society, plans to mount a low-cost human mission known as Mars Direct. According to Zubrin, the plan calls for the use of heavy-lift Saturn V class rockets to send human explorers to the Red Planet. A modified proposal, known as “Mars to Stay”, involves a possible one-way trip, where the astronauts would become Mars’ first colonists. Similarly, MarsOne, a Netherlands-based non-profit organization, hopes to establish a permanent colony on the planet beginning in 2027. The original concept included launching a robotic lander and orbiter as early as 2016 to be followed by a human crew of four in 2022. Subsequent crews of four will be sent every few years, and funding is expected to be provided in part by a reality TV program that will document the journey. SpaceX and Tesla CEO Elon Musk has also announced plans to establish a colony on Mars. Intrinsic to this plan is the development of the Mars Colonial Transporter (MCT), a spaceflight system that would rely of reusable rocket engines, launch vehicles and space capsules to transport humans to Mars and return to Earth. 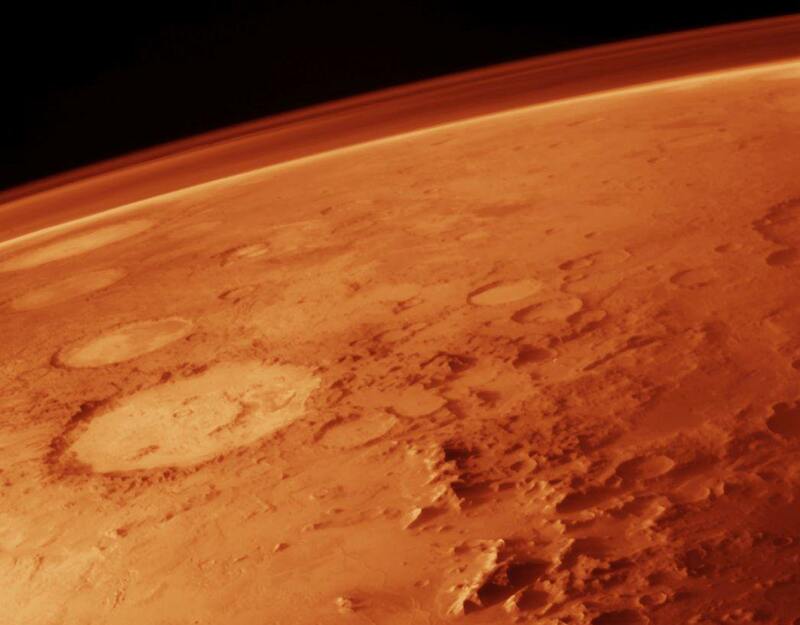 Mars is the most studied planet in the Solar System after Earth. As of the penning of this article, there are 3 landers and rovers on the surface of Mars (Phoenix, Opportunity and Curiosity), and 5 functional spacecraft in orbit (Mars Odyssey, Mars Express, MRO, MOM, and MAVEN). And more spacecraft will be on their way soon. These spacecraft have sent back incredibly detailed images of the surface of Mars, and helped discover that there was once liquid water in Mars’ ancient history. In addition, they have confirmed that Mars and Earth share many of the same characteristics – such as polar icecaps, seasonal variations, an atmosphere, and the presence of flowing water. They have also shown that organic life can and most likely did live on Mars at one time. In short, humanity’s obsession with the Red Planet has not waned, and our efforts to explore its surface and understand its history are far from over. In the coming decades, we are likely to be sending additional robotic explorers, and human ones as well. And given time, the right scientific know-how, and whole lot of resources, Mars may even be suitable for habitation someday. We have written many interesting articles about Mars here at Universe Today. Here’s How Strong Is The Gravity On Mars?, How Long Does It Take To Get To Mars?, How Long Is A Day On Mars?, Mars Compared To Earth, How Can We Live On Mars? Astronomy Cast also has several good episodes on the subject – Episode 52: Mars, Episode 92: Missions to Mars – Part 1, and Episode 94: Humans to Mars, Part 1 – Scientists. For more information, check out NASA’s Solar System Exploration page on Mars and NASA’s Journey to Mars. I’ve heard that people are gathering speculations on where to look for possible habitation starting by 2030. I wonder where they think – places with more likelihood of water, maybe the magnetic field is useful to live under? How about deep in the crust where the atmosphere might be thicker and light the load of the scarcity?? “…speculations on where to look for possible habitation…” I’d have to say that Hellas Planetia is the place to land. That whole basin is MUCH lower than most of Mars so therefore has higher atmospheric pressure and temperature(?). 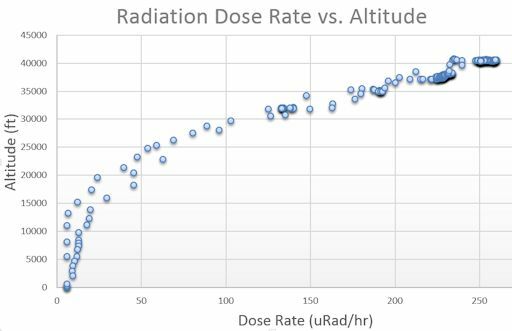 The somewhat thicker atmosphere might provide at least _some_ radiation shielding? Also it is an impact crater, the crust below must be highly fractured perhaps enough to provide conduits for thermal transfer in the form of volcanic hot spots near the surface? Think geothermal springs. Thank you! An excellent and well written article, disregarding the few typos and grammatical errors as pointed out by Aqua. I’m linking this in to my face book account.